The Group by Mary McCarthy follows eight girls through the experiences of adulthood, marriage, and careers in Depression-era New York City. The upper-middle class women each have their own vignette played-out over various chapters. One woman is the focus of each chapter even though various characters pop in and out of the narrative. 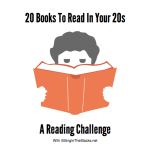 When I originally began the 20 In Your 20s reading challenge, I attempted to select books that would assist people navigating their twenties in some way. The Group seemed to be a great book for women just leaving college and navigating friendships, jobs, living on their own, and romantic relationships in spite of its 1930s backdrop. The economic situation of the 1930s means not even the well-off, Vassar graduates are immune to money strife. Political debates over Communism, Socialism, Stalinism, and Trotskyism are common. Labor disputes and labor relations are en vogue topics of conversation. A reader will learn a character’s political views and opinion about the relationship between laborer and capital over the course of the narrative. Psychology and sexuality are also common topics in The Group. Freud and Freudianism is often bandied about, especially among the characters associated with medicine. To be or not to be a Freudian distinguishes the aged medical theories from the contemporary, technological-age approaches. Various characters also navigate the role of the new woman as she joins the labor market and explorations of sexual freedom dive some characters into the world of early birth control. Unfortunately, The Group was not an appealing read for me. There were moments when I was compelled to not finish it and move on to a different book. The various plots and content of the story were not an issue. My main issue with the book is its style. I found the book overly detailed. McCarthy lays out every scene in excruciating detail. The expanded descriptions bog down the narrative, causing the reader to lose track of where in the story the characters are. While this level of attention probably made the set design for the 1966 movie of the same name easy, it leaves nothing to the reader’s imagination. The second issue with the style of The Group is the disjointed narrative. Each chapter addresses a different girl’s life. In theory this is a great approach to a multi-plot story. However, the reader lose tracks of the multiple plot threads as some characters disappear for a few chapters only to reappear many pages later. Time in the book at least flowed naturally. Beginning in 1933 and ending in 1940, The Group marks the passage of time through hallmark moments in characters’ lives – marriage, divorce, and children. History also denotes year shifts. The closure of the National Recovery Administration, development of relief programs for artists, and Hitler’s invasion of France and the Low Countries each alert the reader to the book’s timeline. McCarthy does not skimp on characters in The Group. There are various characters each of whom offer a different outlook on life, economic situation, and personality. The diversity of characters provides various opportunities for a reader to find the woman with whom she most connects. The number of main characters McCarthy introduces would not have detracted from the story except that the style of the narrative makes it difficult to follow each character’s narrative. At times I felt the need to have a character index such as those in Tolstoy’s books. As mentioned previously, characters would be absent for numerous pages at a time and then reappear with their story picking up without an introduction. This format led me to misremember character names and attach them to the wrong storyline. Who was it that wants to be a vet and who wants to be a doctor? Pokey or Polly? It’s surprising and unfortunate that The Group was such a difficult read for me. The Group was quite acclaimed when it was first published, so much that it remained on the New York Times bestseller list for two years and was made into a movie in 1966. 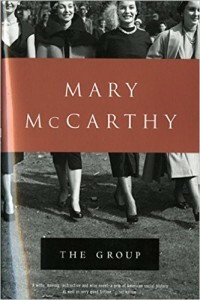 McCarthy’s life is reason enough to read The Group, though, as one reading of the book makes the story of the eight girls a sort of autobiography. 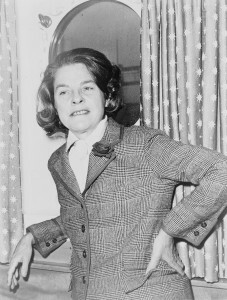 McCarthy graduated from Vassar in 1933, pursued a writing career, and sources suggest that the marriage between Kay and Harold offers insight into McCarthy’s first marriage. Although I did not thoroughly enjoy The Group, doesn’t mean that it should be completely written off. The characters are worth knowing, but I do recommend you keep a cheat sheet of each girl, her job, origins, and beaus. Have you read The Group or seen the movie? Thoughts? 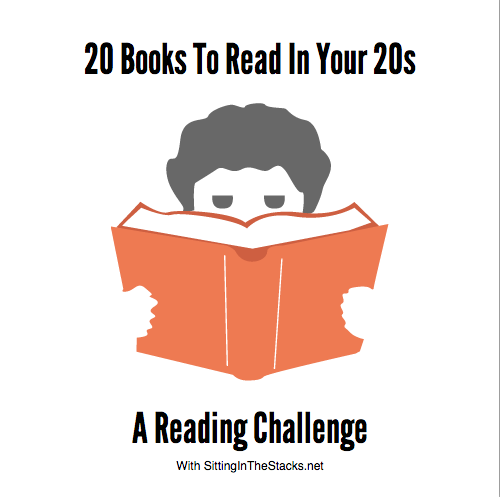 What book would you substitute for The Group in a list of books to read in your twenties?